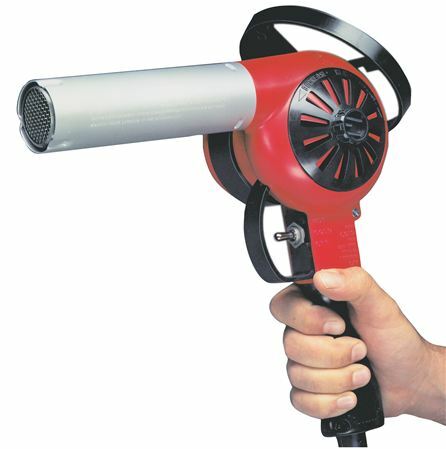 These heat guns have established impressive records for rugged performance through prolonged motor brush and element life in both intermittent and continuous duty applications. Weighs only 2¾ lbs, including stand for ease of handling. Brushes are easily replaced and extend the life of the gun. Housing, handle, safety stand and trigger guard constructed of Lexan® for insulation properties and impact resistance. Unique suspended quick change heating element. 1130 Shrink Tube Reflector for 3/4" O.D. Shrink Tube Reflector for 2" O.D. 1053 ED1129 Shrink Tube Reflector 3/4-inch O.D. 1054 ED1130 Shrink Tube Reflector for 2-inch O.D.